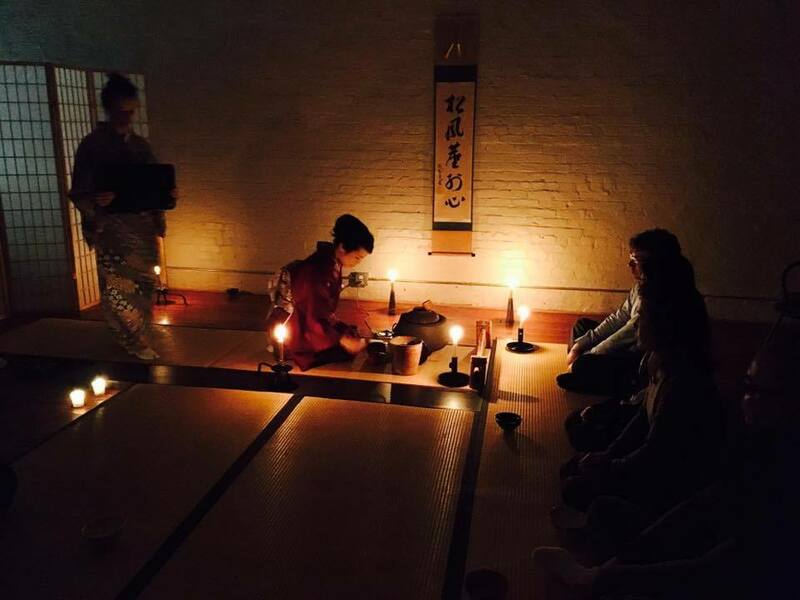 I conducted "Yobanashi" （夜咄） Tea Ceremony. It is fully presented under candlelight. The guests purify their hands before entering the tea room. Then I started the tea procudure. 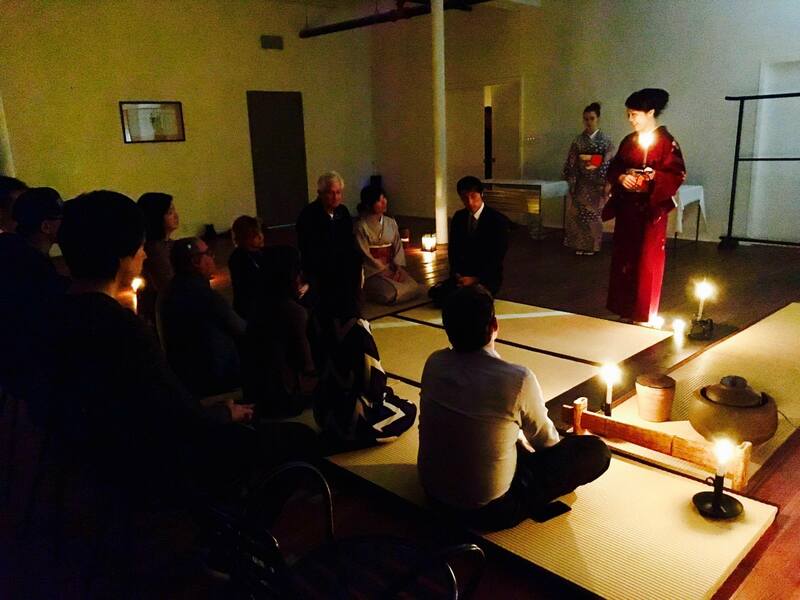 I think the guests enjoyed the silence with the sound of "Shofu" in the dark. The theme of today's tea ceremoy was "松風塵外心 / Shofu Jingai no Kokoro"
The meaning is leave all your stress, anxiety and troubles outside of the tea room. I told the story about Rikyu's death, Tea history and Tea ceremony's history. "Shogun Hideyoshi commanded Rikyu to commit suicide by disembowelment. The puzzle of Rikyu’s death has inspired many stories and theories; at the east we can say that the trouble between them was born from a fissure between art and power." 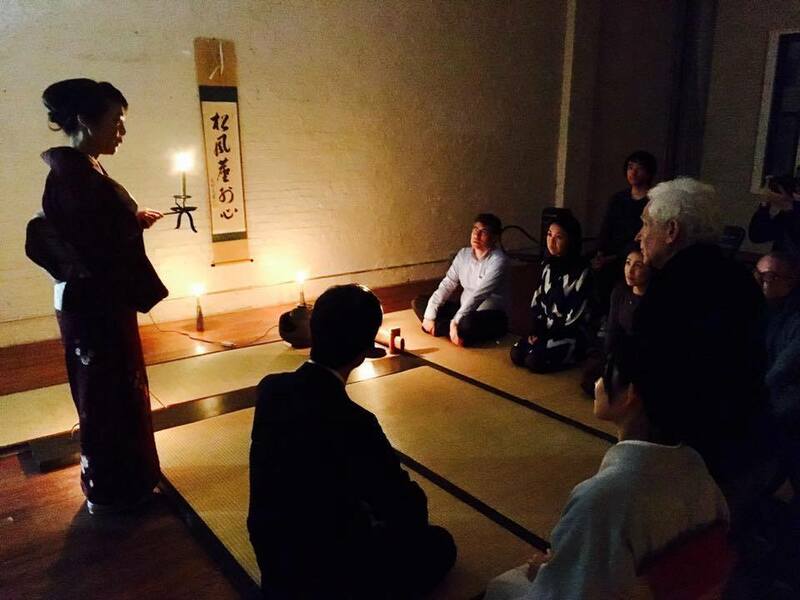 People listened to Rikyu's story and tea history with rapt attention. I was inpressed that people are so interested in tea ceremony. This event was a great success. Thank you for all.